Open Singing is a daily communal singing event where EVERYBODY is invited to sing. 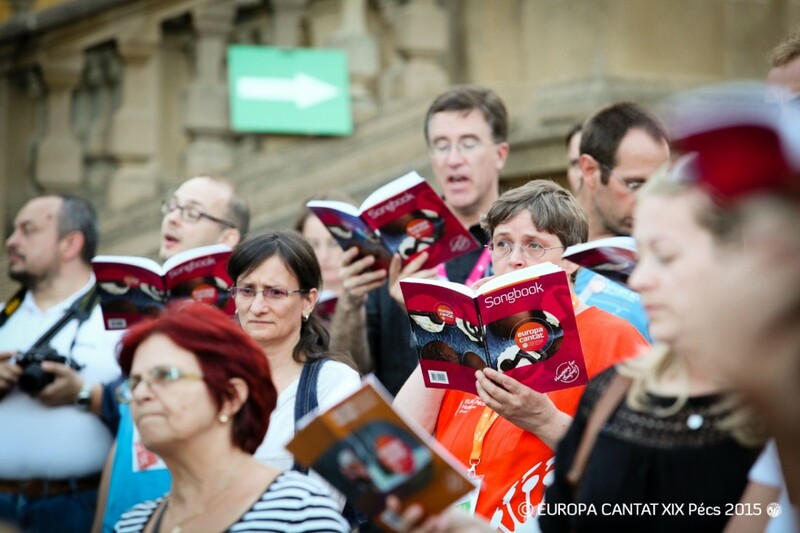 For the first time in the history of EUROPA CANTAT, there will be two different Open Singing stages: There will be a public Open Singing in the early afternoon on Town Hall Square led by Merja Rajala (FI) where everyone is invited to join and sing along – and for which you don’t need to be able to read music. Festival participants, Tallinn citizens and tourists will join their voices. The second one is especially aimed at festival participants who will meet and sing together in the Russian Culture Centre with Lorenzo Donati (IT) and other guest conductors. Here you can sing along and practise different songs, including pieces for the big Estonia 100 Birthday Party at the Song Festival Grounds on August 3rd. Open Singing is neither a choral rehearsal nor a choral concert in the strictest sense, but rather an “open” event in which anyone can join without any conditions, just for the pleasure of common singing. On the other hand you can also see Open Singing as a concert or a rehearsal: Open Singing will open up new worlds, take you deep into the music and make you an active part of the musical experience. 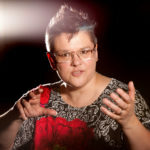 Merja Rajala (FI) Finnish rhythmic choir conductor pioneer, composer and pedagogue, is specialised in popular music, including world music genres and fusions. In addition to her own choral work (Global Choir, Open Voice, Partita) Merzi is the responsible lecturer for Global Choir Conducting/Sibelius Academy, and the creator of Vocal Ensemble Pedagogy/Metropolia UAS. Currently she is researching the possibilities of improvisation methods used as a vehicle for collective artistic work in choirs. 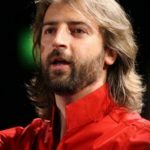 Lorenzo Donati (IT) is a composer, conductor and violinist, who studied with the most important musicians of Italy and the world (composition with R. Pezzati, C. Togni, E. Morricone, P. Dusapin; choral music with R. Alessandrini, R. Clemencic, O. Dantone, R. Gabbiani, D. Fasolis, G. Graden, C. Hogset, P. Neumann). He has performed at concerts with Coro Giovanile Italiano, Insieme Vocale Vox Cordis and Hesperimenta Vocal Ensemble winning several national and international awards (Arezzo, Cantonigròs, Gorizia, Lugano, Montreux, Senlis, Varna (Grand Prix), Vittorio Veneto, Tours). In 2007 he won two first prizes at the V International Competition for Choral Conductors “Mariele Ventre” in Bologna. In 2016 he won with UT Insieme Vocale-Consonante the 28 edition of the European Grand Prix for Choral Singing. His compositions are being performed by ensembles around the world and have been published by Carus Verlag, Pizzicato Verlag and others. His choral works were asked and/or performed by musicians all over the world. Donati is often invited to join the jury at international contests and teach in international masterclass. He teaches choral conducting at the Conservatory of Trento.